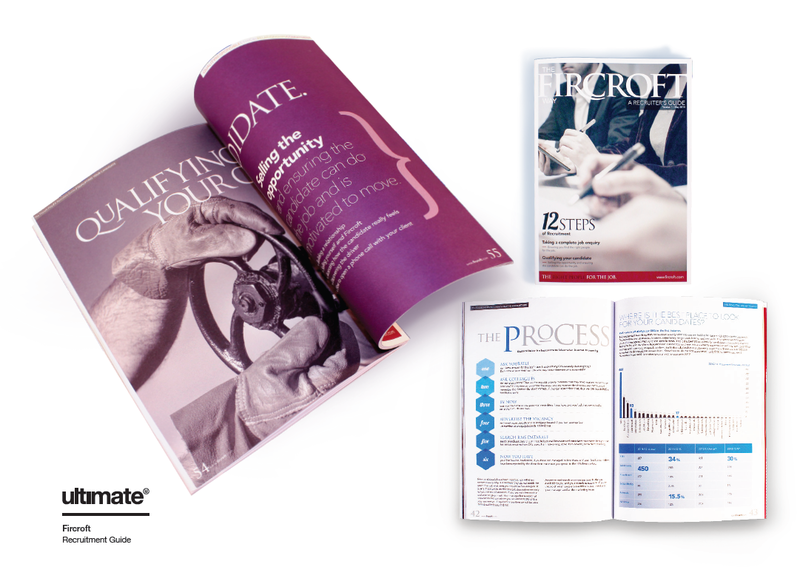 Ultimate have recently designed and produced an 80 page recruitment guide for Fircroft, a global recruitment agency. This professional document has been printed on uncoated stock to give it a high end finish. The design uses bold typography and vibrant colours from the internal colour palette to create an interesting and engaging document for their staff to use as a handy guide to the ‘Fircroft Way’. This has also been produced as an e-book to allow Fircroft to easily share with all their staff, globally.